The issue of Andhra Pradesh's new state capital and central funding for it would also be discussed, sources said. Naidu is expected to press for an ordinance in this regard, sources close to him said. Andhra Pradesh Chief Minister- designate N Chandrababu Naidu is set to meet Prime Minister Narendra Modi and other union ministers in New Delhi on Friday to discuss various issues about the state, before bifurcation. Naidu, who is scheduled to New Delhi tomorrow morning, would first meet Union Water Resources Minister Uma Bharati to discuss the Polavaram multi-purpose irrigation project issue. He would meet the Prime Minister in the evening to discuss granting of “special state” status to Andhra Pradesh for a period of ten years, and not five years as incorporated in the Andhra Pradesh Re-organisation Act 2014. 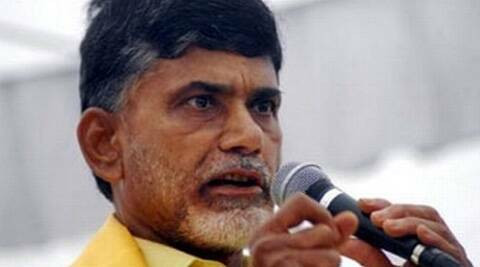 Naidu is expected to press for an ordinance in this regard, sources close to him said. He is also expected to take up issues like division of assets and liabilities between Andhra Pradesh and Telangana, besides allocation of staff and power, among other issues. The Telugu Desam Party (TDP) chief who is set to take oath as Andhra Pradesh Chief Minister on June 8, would also extend an invitation to the Prime Minister for his swearing-in ceremony, sources said. The issue of Andhra Pradesh’s new state capital and central funding for it would also be discussed, sources said.